Christmas in Maine is a magical time of year. It’s truly a sight to see as the region comes alive with twinkling lights and celebrations to get you in the holiday spirit. The magic of Christmas is everywhere you turn, especially during the Boothbay Lights festival. This year, mark your calendar for the festivities and get ready to make lasting memories during a very merry Christmas in Maine. If you’re planning to spend this Christmas in Maine, be sure to download a copy of our free Boothbay Harbor Vacation Guide. It’s full of helpful tips to cut your planning time in half. You will discover the best activities, events, and area attractions that Maine is known for. 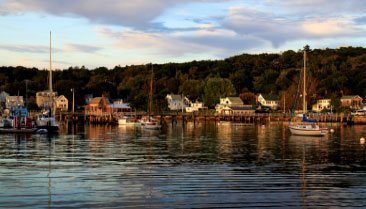 Get your guide today and start planning the ultimate vacation to Boothbay Harbor. Prepare to be dazzled when you attend Gardens Aglow at the Coastal Maine Botanical Gardens. With over 500,000 LED lights, this event is one of the biggest and brightest holiday light shows in Maine. It’s also a great way to spend a romantic evening outdoors. Stroll through the twinkling gardens with your special someone, then warm up by a roaring fire and roast s’mores. The event kicks off on November 15th. No Christmas in Maine is complete without a visit to the Annual Gingerbread Spectacular. On December 15th and 16th, visitors are invited to wander through a creative display of gingerbread houses at the Boothbay Opera House. From cabins and lighthouses to intricate castles, you’ll see it all. Competitors range from professional bakers to children. Admission is free, but donations are always welcome. Local Tip: Be sure to pick up some hot cocoa and a tasty treat at the bake sale. Have you ever seen 60 beautifully decorated Christmas trees in one place? If not, attending the Festival of Trees is a must. This beloved event features holiday shops, a silent auction, a raffle gift drawing, and opportunities to donate to a good cause. This year’s event begins on November 30th at the Opera House and runs through December 2nd. The Harbor Lights Festival is the perfect way to kick off your Christmas in Maine. This free event takes place on December 1st and offers dozens of activities by the water. Keep an eye out for Mr. and Mrs. Claus as you watch the decorated boats glide along the harbor. Horse-drawn wagon rides, caroling, and a tree lighting ceremony round out the festival. It’s been a community favorite for over 30 years, and it’s easy to see why. If you want to start this holiday season off with a bang, don’t miss out on the Holiday Sparkle Fireworks. Bring your friends and family to Boothbay Harbor on December 7th, and watch as the fireworks illuminate the evening sky. The show starts at 6:00 p.m. and dazzles the crowd until the finale at 7:00 p.m.
All aboard the North Pole Express to watch your wildest Christmas dreams come true. At the Boothbay Railway Village, passengers can settle in for a comfortable ride and gaze out through the windows at the snowy landscape. The train travels through the Village and arrives at the North Pole for a visit with Santa. Once you return, stick around for the reading of a story at the Spruce Point Chapel. The North Pole Express is a popular attraction, so be sure to purchase your tickets in advance. 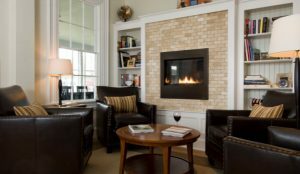 The train departs from Boothbay Railway Village on Saturdays and Sundays throughout December, beginning at 11:00 a.m.
Topside Inn is your go-to for unparalleled lodging in Boothbay Harbor. Although we close during the holiday season, you can still experience the excitement of our New England Christmas town. Just be sure to book your stay with us when we reopen in the spring. From our breathtaking water views to our elegant guest rooms, there is nothing better than a relaxing getaway to Topside Inn. Our gorgeous property is tucked away for peace and quiet, but it’s still close to all the area attractions you’ll want to experience. 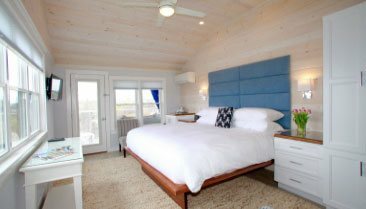 At the end of the day, kick up your feet and unwind in the privacy of your guest room or enjoy a glass of wine in our common area in the Main House. 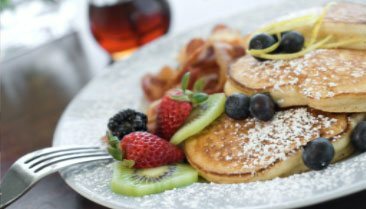 Each morning begins with a full breakfast complete with Maine roasted coffee and a hot entrée to warm you up before heading out. 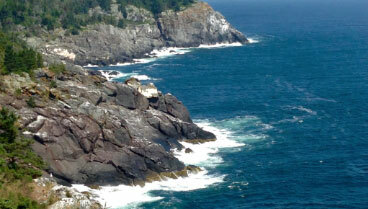 A getaway to Topside Inn is sure to leave you with lasting memories. Check our availability and make your reservations today. Just remember to explore our current specials and vacation packages to enhance your coastal Maine experience even further.